On Friday, November 9, Arántzazu went to the INS Menéndez Pelayo, in Barcelona. She gave a science talk to secondary school students from 1st BTX who are studying Physics and Chemistry. 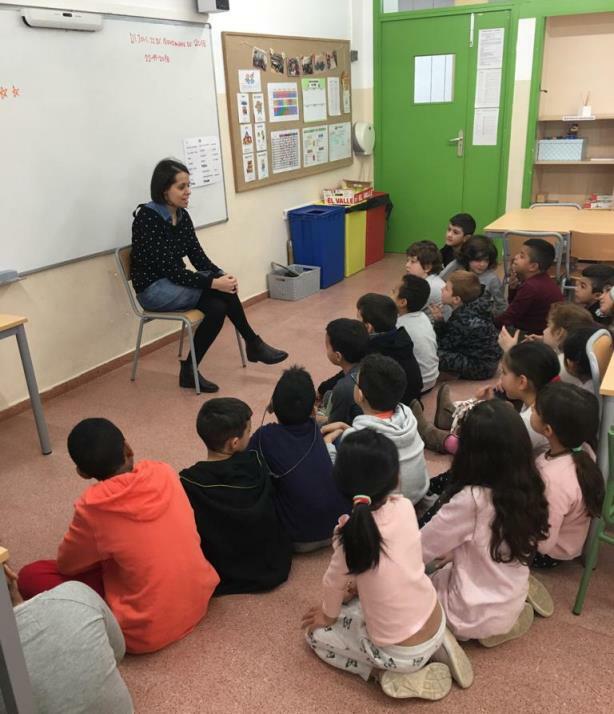 On Thursday, 22 November 2018, she was at the Escola Pública Josep Carner in Badalona, with a group of 2nd Primària. She gave the talk "Què és un científic, i què fa?" and then did some experiments with the kids about pH indicators and acid/base chemistry. 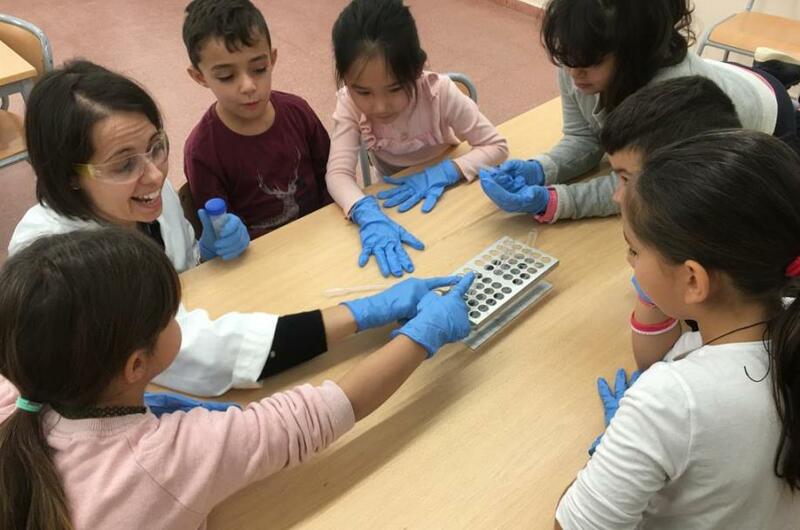 The students could be scientists for a while! "This semester they were working in a project called "The Scientists". My visit was to close the project so they could meet a scientist and perform and experiment together. They were really excited when they saw me and they saw the lab coat, the specs and the gloves! First I explained them what is scientist and what we do at the ICMAB. Then they became scientists with gloves and we carried out an experiment, a pH sensor with red cabbage. The experience was really great; they were asking and participating all the time. The teacher told me afterwards that they went home with the gloves and telling the famlies that they were scientists." 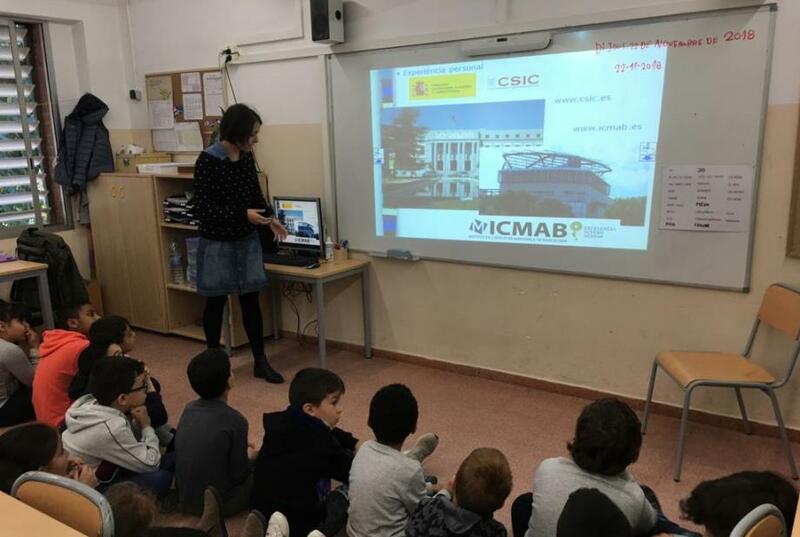 The program "A researcher in your classroom" brings every year many ICMAB researchers to primary and secondary schools. It is a way to break the barriers between the schools and the research centers; a way in which the students can see what a scientist is like. 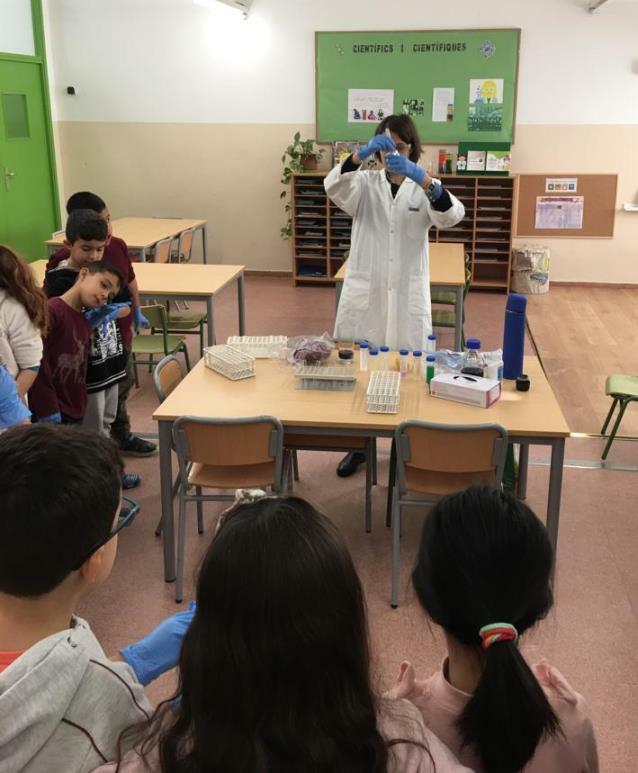 The Science Week, in November, coordinated by the FCRi and the CSIC in Catalonia, promotes the visit of scientists to primary and secondary schools.